After a cup of tea on the front at Llanfairfechan, I set off. It was blustery and looked to be threatening rain. This section of the Wales Coast Path took me through several nature reserves. I walked past vast expanses of mud flats, home to a range of wildlife. This is a popular place for birdwatching and bird hides appeared at regular intervals; great for twitchers and great for hikers hiding from rain (me, frequently). 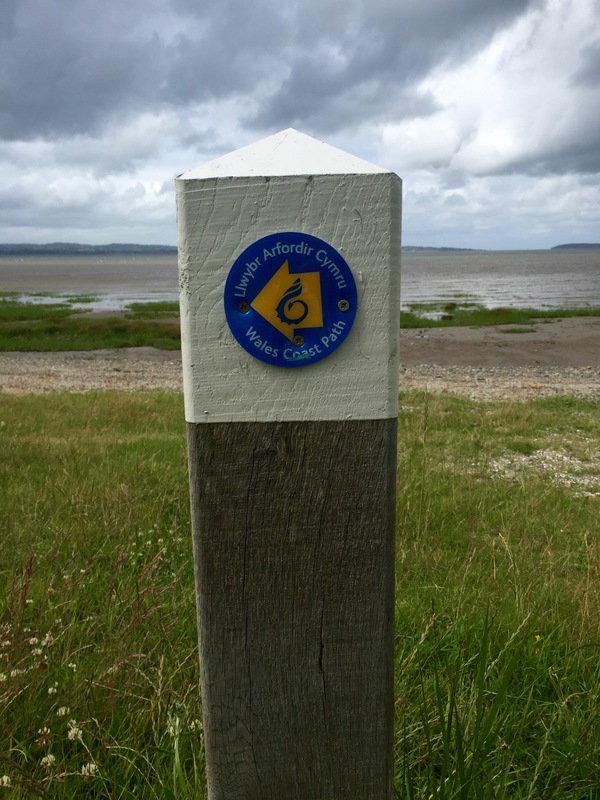 After about 3km or so, the Wales Coast Path waymarks disappeared. They just weren’t there or seemed to have been removed deliberately. In any case, I went the wrong way, and it was only when I got to a “STAY OUT!” sign about 2km further on that I realised. So back I went, looking for any waymarks. None were to be seen so I decided to just busk it and walked along the shore line for a bit. Hey, it’s a coastal path so surely I couldn’t be far off. 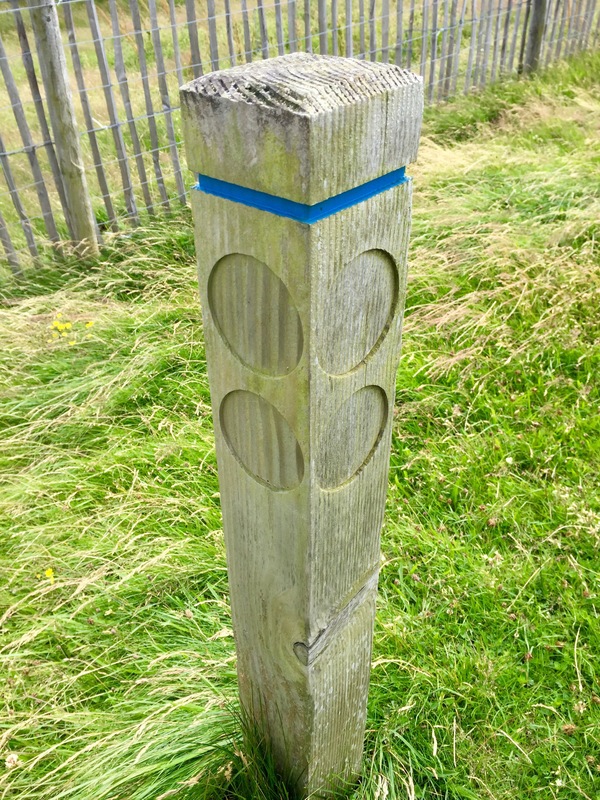 Finally, the joy of seeing a waymark! A huge mass of boulders indeed. Nothing was to be done about it except for scrambling down to the shore and traversing them that way. I did wonder about the cause of it all though. As I advanced on Bangor, I did my usual trick of looking back at where I’d been. 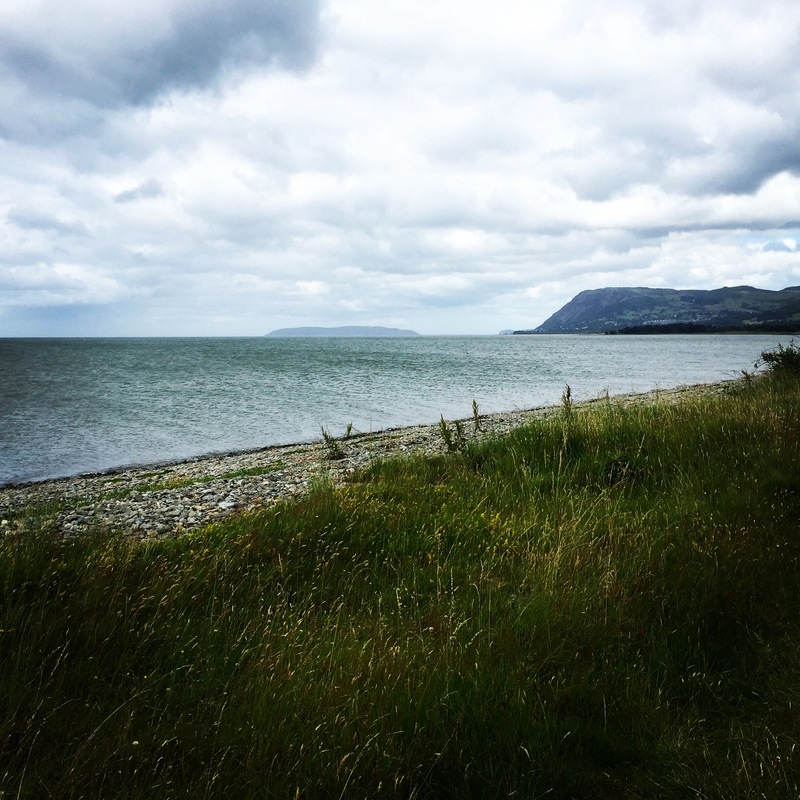 There were the cliffs at Penmaenmawr with Y Gogarth (Great Orme) way off in the distance. It’s hard to express the feeling of knowing that you’ve made up that distance on foot. 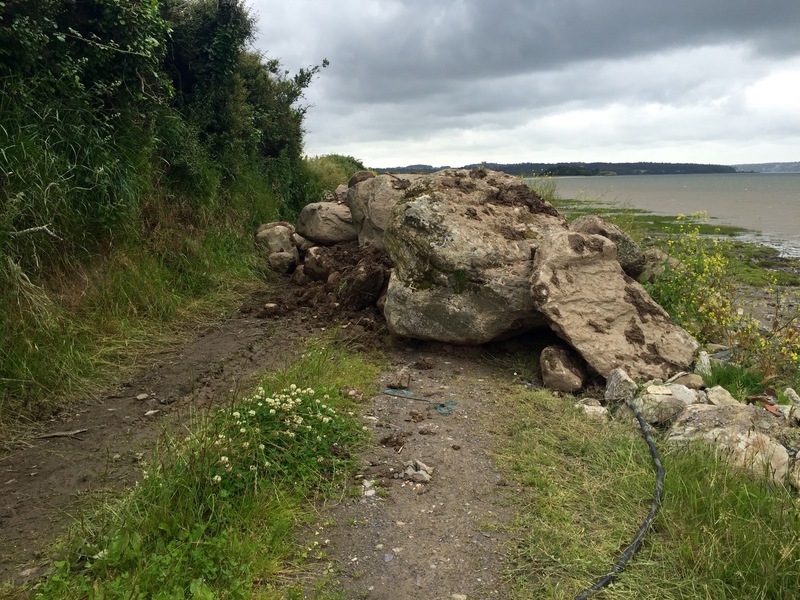 Just before its arrival in Bangor, the Wales Coast Path is sadly routed away from the coast. There is no current access to the National Trust’s Penrhyn Castle grounds. The trail follows a convoluted route inland for quite some time. This was when I found myself on a bit of a wild goose chase on the outskirts of Bangor. Missing waymarks again meant I was guessing the route. I guessed wrongly and ended up in Llandygai Industrial Estate somehow. A couple of alleyways later and I’d found the A5 and decided to use the pavement next to it. I worked in Bangor for about six months as a young reporter so was glad that I knew my way. It didn’t long to get back to the water’s edge. 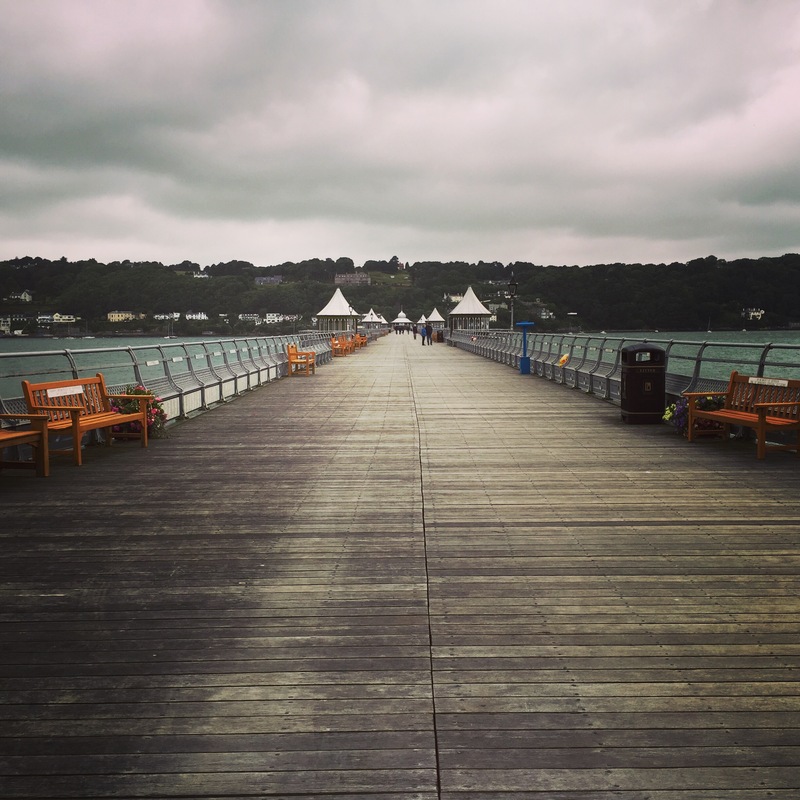 Next stop was Bangor Pier. After the kerfuffle on the pier at Llandudno, I wasn’t about to get an ice cream, that’s for sure. 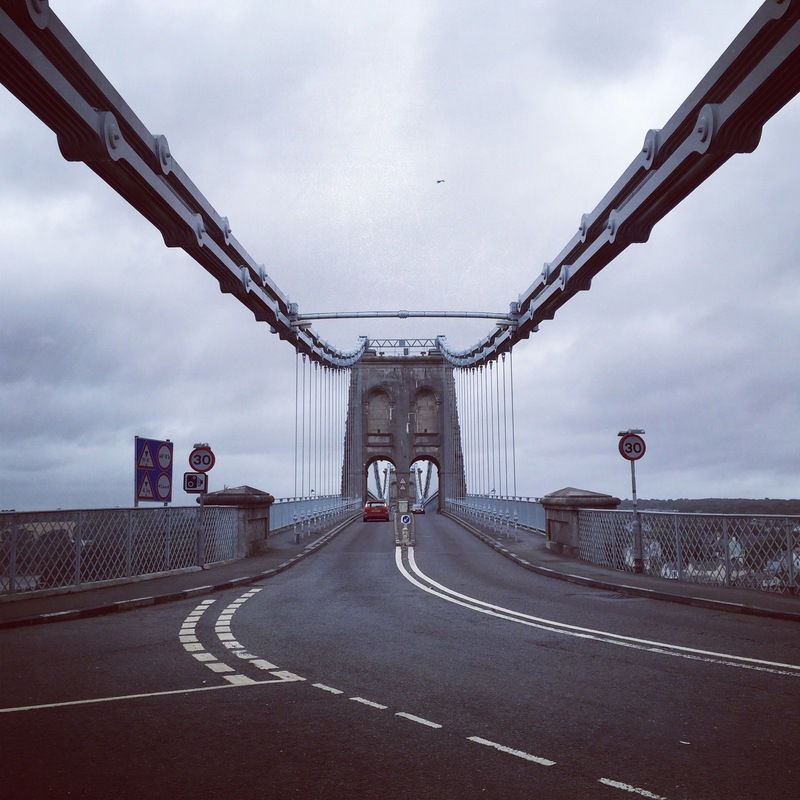 I was heading for Menai Bridge, the structure, that is, not the town. Once again, missing waymarks left me walking across a couple of random farmers’ fields. Relief when I once again found the road that descended to the bridge. The next step would be to leave the mainland and carry on my trek around Ynys Môn (Anglesey). Can’t believe how far you’ve walked!! Such an amazing achievement. So proud of you. You have shown a lot of courage, determination and mental strength to get to where you are. I hate to imagine how many miles you’ve completed.